The Verandah | Dog Box Australia's insulated dog boxes for your best mate! 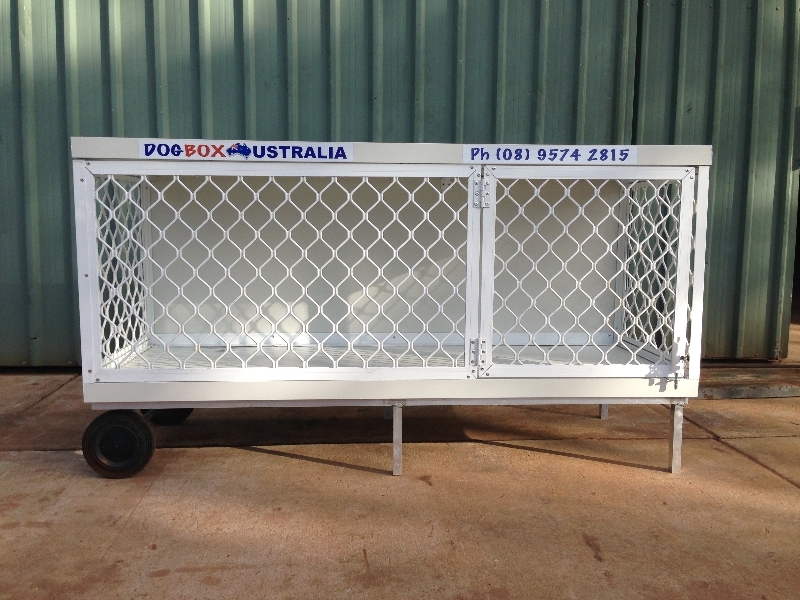 Your dog will love Dog Box's 'The Verandah' full length one door dog box with a hinged roof, raised off the ground and on wheels, for even easier movability. You’ve spent energy, time and money picking out the perfect dog for you, having your dog micro-chipped, wormed, and vaccinated, so why not ensure their transport is comfortable and safe too! The Verandah Box is insulated and comes skid mounted, lockable and lightweight, to make it easy for you, Also built using powder coated aluminium, not only to look great but to last the life of your dog and beyond! 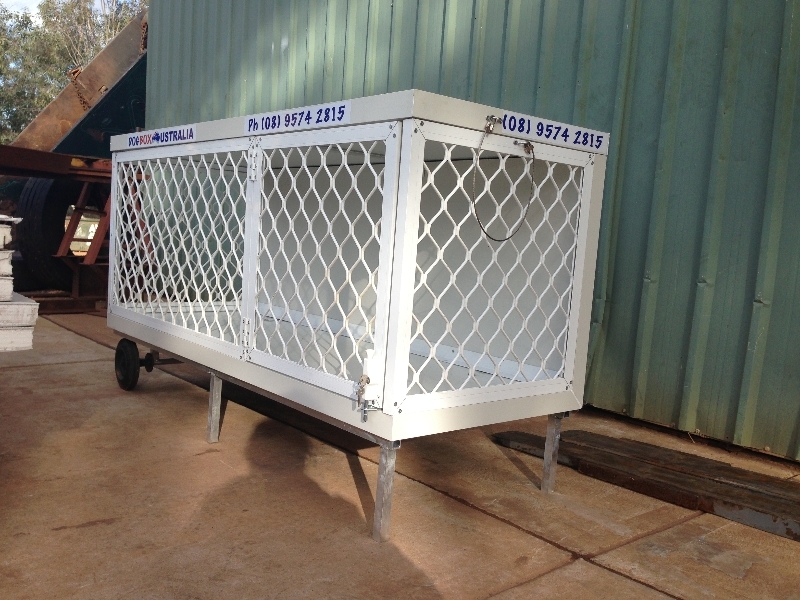 The Verandah Box is only box not designed to primarily be on your ute or truck. 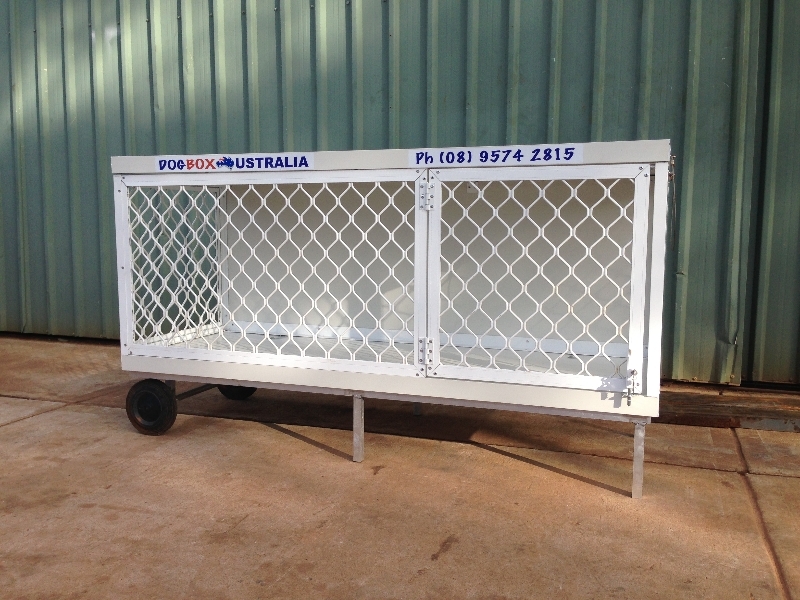 This box comes raised off the ground and on wheels, for even easier movability, and features a roof that hinges back making it ideal for cleaning, feeding your mate or checking on pups. 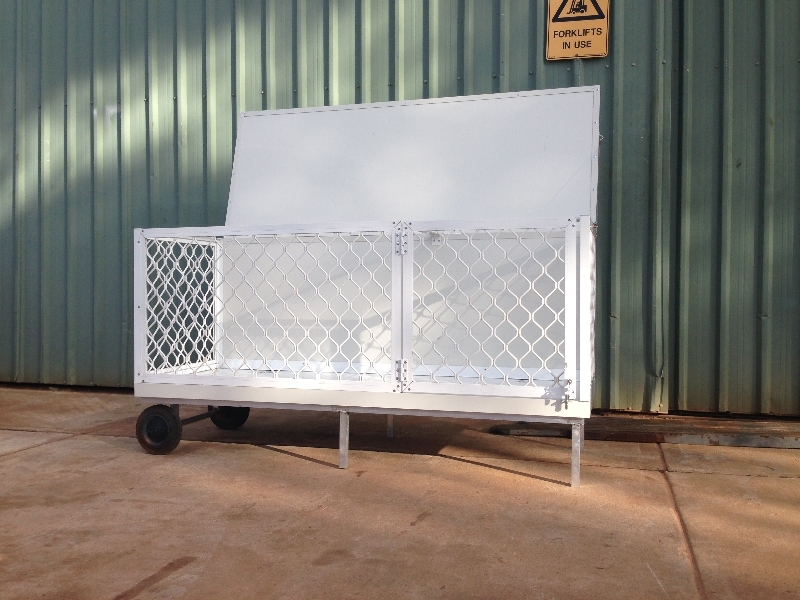 This full length with one door box is designed to be your dog’s favourite place to be when he’s not working! Optional Extras you can add to our basic Verandah Box include a side blind, mattress, tool box and more to make it more comfortable for your mate and provide extra storage options for your tools.